Es wird über eine 29-jährige Frau berichtet, bei der während der Spontangeburt ihres ersten Kindes ein schmerzhaftes thorakales Druckgefühl aufgetreten ist. Wegen persistierender Beschwerden wurde eine Akutsectio durchgeführt. In der postoperativen Diagnostik zeigte sich eine akute proximale Aortendissektion (Typ Stanford A) als Auslöser der Symptomatik. 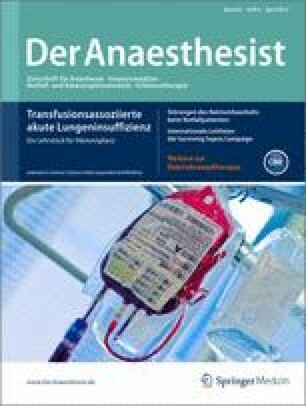 Im vorliegenden Fallbericht werden der diagnostische Ablauf, die operative Versorgung sowie das anästhesiologische und das gynäkologische Management dieser lebensbedrohenden peripartalen Komplikation berichtet. A 29-year-old primagravida developed severe chest pains during labor. An emergency caesarean section was performed as the symptoms persisted. Imaging diagnosis immediately after delivery revealed an acute proximal (type A) aortic dissection. The patient was transferred to the nearest cardiothoracic surgery centre and successful emergency surgical aortic repair was performed. The perioperative course of a type A aortic dissection during pregnancy and labor is complicated by time pressure, diagnostic restrictions until delivery and potentially fatal uterine bleeding during cardiopulmonary bypass and hypothermic cardiac arrest. This case report describes the diagnosis and the surgical, anesthesiological and gynecological management of this life-threatening peripartum complication.